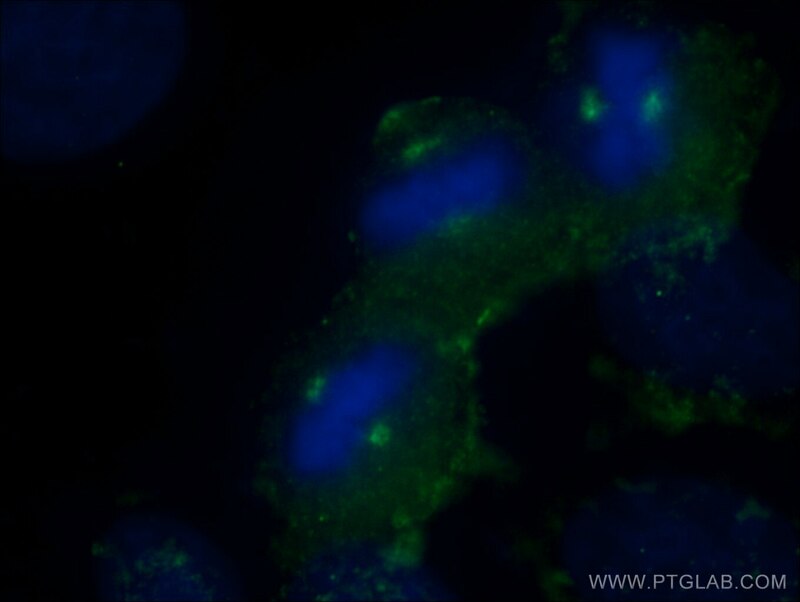 IP Result of anti-KATNB1 (IP:14969-1-AP, 3ug; Detection:14969-1-AP 1:500) with HeLa cells lysate 3000ug. 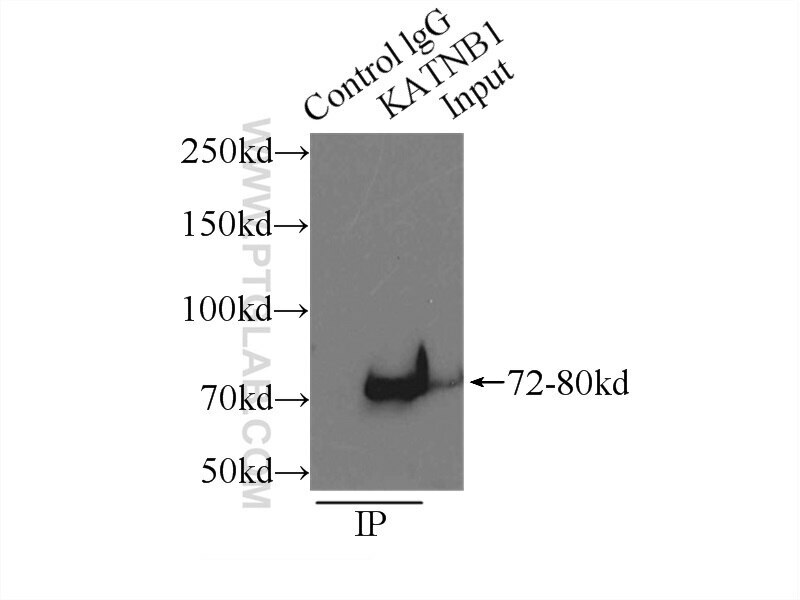 Katanin p80 WD40-containing subunit B1 is a protein that in humans is encoded by the KATNB1 gene. Microtubules, polymers of alpha and beta tubulin subunits, form the mitotic spindle of a dividing cell and help to organize membranous organelles during interphase. Katanin is a heterodimer that consists of a 60 kDa ATPase (p60 subunit A 1) and an 80 kDa accessory protein (p80 subunit B 1). The p60 subunit acts to sever and disassemble microtubules, while the p80 subunit targets the enzyme to the centrosome. Katanin is a member of the AAA family of ATPases. Structural Basis of Formation of the Microtubule Minus-End-Regulating CAMSAP-Katanin Complex. Klebsiella pneumoniae disassembles host microtubules in lung epithelial cells. Microtubule Minus-End Stabilization by Polymerization-Driven CAMSAP Deposition. Katanin p80 regulates human cortical development by limiting centriole and cilia number.